News out of the Bahamas, according to the Tribune, is that the fishing regulations have been officially suspended. This comes as the math starts to look like a 20-40% decline in bookings in the wake of the BFFIA’s push for regulations on flats fishing. I mean… yeah… of course. Suspended is not “totally scrapped” and really, they were suspended anyway (although I had heard some rogue guides/individuals in Andros had been trying to police the regs anyway). Maybe it will come back. Maybe it will be better. It could certainly have been worse, as the original proposals were. The PLP is playing it according to the script, saying the govt. is abandoning the flats and creating an open season on their fishery. It was their hard work which was responsible for the 20-40% decline (and that’s bookings, not DIY, which I’d guess was down even more). I guess if they want fewer people coming to the Bahamas to fish, that does, in some way, lead to less pressure on the fishery, kind of in the same way the Chernobyl accident helped create a defacto nature preserve. Time will tell. This is a marathon, not a sprint. Myself? I’m looking forward to heading back to Grand Bahama, the island where I caught my first bonefish, and fishing out of East End Lodge this July (yes, it will be hot, but there will be cold beer and likely a strong breeze). I mean… is there anything certain? The BFFIA was making noise about a possible repeal of the fishing regs, because, ya know, that is possible. If you want to help with your own shovel full of sand to bury this horrible pile of regulation, there are some things you can do (from the AFFGA). I FULLY SUPPORT The current flats fishing regulations being suspended immediately UNTIL A LICENSE CAN BE PURCHASED ONLINE AND SENSIBLE REGULATION IS REWRITTEN that actually protects the fishery via conservation measures, protects Bahamian guides, and welcomes visiting anglers to the Bahamas. PLEASE also mention that the attempt for a national fishing organization was a complete and utter failure and BFFIA needs to be wound up as they have made a colossal mess for the Bahamas and they are not recognized as a reasonable nor credible voice in the fly fishing industry. You may also add your own anecdotal evidence but keep your letters short so they are more likely to be read. Dr. Minnis’s administration wants to do the right thing but they have joined us in the middle of this journey. Your input will let them know how their constituents and the angling public feel about the matter. Kindly address your comments to the Minister of Fisheries and cc: the rest of the government authorities below as well as me. I’m going to get my email out today. It will read like this. I am writing today to lend my support and voice to the many other voices asking you to suspend the current flats fishing regulations until they can be re-written and until a license can be purchased on-line. I got pulled into the debate about the regulations this last year in part because of the politicization of the process the produced the current regulations. 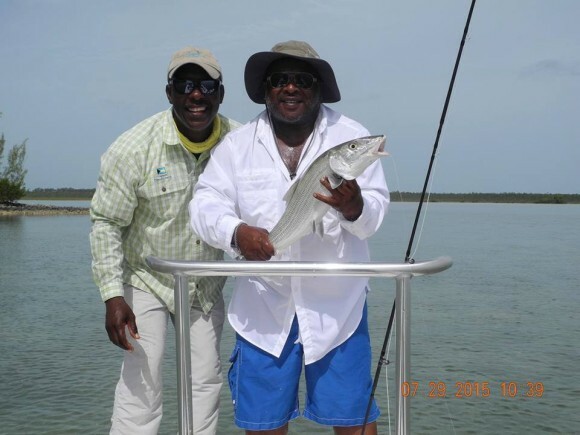 The president of the BFFIA divided the industry and alienated the anglers to the harm of the both the industry and the nation of the Bahamas. I love the Bahamas. I’ve made several trips to the Bahamas from my home in California. I’ve visited Grand Bahama, Andros, Long Island and Abaco. I’ve made some of my most enduring memories in the Bahamas. The last family trip I took with my mother was to Abaco before she died of cancer. 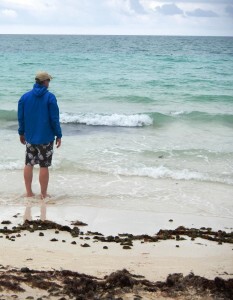 The memories of the Bahamas are good, even when the skies were cloudy and the wind was fierce. It was for those reasons I opposed the regulations, which I knew would hurt the people of the Bahamas, who sometimes have very little material wealth to set next to their immense natural wealth. I knew this would hurt. I knew the rhetoric coming out of the BFFIA would hurt and the protectionist xenophobia behind many drafts of the regulations would alienate anglers. I urge you, as you look forward, to not follow the straight party-line process that the PLP and the BFFIA did. Include other voices. Include other view points. Listen to the scientists. Listen to the economists. Listen to as many as you can. Learn from the experiences of your neighbors. In short, do all the things that didn’t happen the first time around. It also might sound a bit like I’m asking you to do what we in the US aren’t doing too much of in our own politics at the moment, but I don’t think that’s a bad thing. Aim higher. Serve your people, all of them, regardless of party. I look forward to seeing what you do here and I wish you only wisdom and success. Sorry this is such a long email. 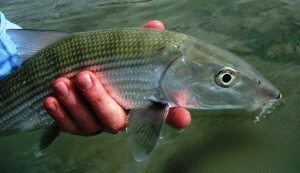 Editor of Bonefish on the Brain, passionate angler. So… Fly Fishing Chief says the sky is falling and those “special interests” are behind it. Something like that comes from this story about the possibility that the fly fishing regs put in place earlier this year could be tanked. I mean… am I the only one who thinks the guy has something in common with Trump? He says “Watch out for special interests!” only because, ya know, he’s got his own special interests he’s interested in peddling? He proclaims the ecology of the flats as under-threat and a sacred thing and then he bulldozes a bunch of mangroves to put in a fuel station. He decries the poor handling of bonefish by the unwashed DIY anglers, literally saying poor handling was decimating bonefish stocks, and then does crap like this? Mr Conservation, demonstrating proper handling of a bonefish. The fly fishing regs were brought about purely through PLP channels, excluding and ridiculing all other voices. The legislation was brought in through back channels, not through a vote in the Parliament, where it never would have succeeded. Then, this weird thing happened. The PLP got their asses handed to them in the recent elections. The FNM won. With such changes there were bound to be changes in the fishing regs, maybe keeping the one or two good ideas in the regs and getting rid of the protectionist tripe that comprised the rest of it. I mean… did anyone think anything else was going to happen? I’m just wondering what took so long. Let the Emperor of Bad Ideas complain. He’s like a walking sermon of contradictions and hypocrisy. How anyone is still listening to that guy is beyond me. He can’t be the guy to carry the flag for the Bahamian fly fishing industry and I can’t wait until more Bahamians actually catch on to that. I’m conflicted. I love the Bahamas, but the government of the Bahamas doesn’t love me back and some of its people are downright hostile to how I want to vacation and spend my time and money. So… what am I to do? The new law has been rolled out and it has been a bit bumpy from what I’ve heard. Have not heard about people being denied, just that some folks who are supposed to issue the licenses don’t seem to have a firm grip on what is going on and you may have to wait a full day or two to actually get the license. I have not heard about enforcement issues yet, but then, I don’t hear everything so I wouldn’t rule it out. What I do know is the trip I took last February is a trip I can’t take in 2017. I rented a boat and a friend and I fished together, without a guide, for the last three days of the trip. That would be illegal to do now. This fact bums me out. I’d still be able to go around on foot, or use a kayak or canoe to get around, but that boat is no longer an option. I’d still be able to go and use a guide, either through a lodge or on my own, which does change the price dynamics a bit, but, you still get the Bahamas that way, but I won’t spend a dime on those who fought against us. There are plenty of operations who have fought the good fight, on behalf of all anglers and for the Bahamian people, and they stand to lose if we just all stay away. Folks like Abaco Lodge, Bairs Lodge, Delphi, East End Lodge, Swain’s Cay and Black Fly, just to name a very few, all fought hard for us and I don’t want them to be hurt for doing what was right. Yellow Dog Fly Fishing Adventures – They aren’t booking the anti lodges. They’ve been in the game for a long time. They know Prescott, have known him for years, and they were very involved in the fight. If they have a destination in the Bahamas, you can feel better knowing they are on the right side of this thing. Abaco Fly Fishing Guide’s Association – If you want to know if a guide or lodge is pro-angler, ask if they support the AFFGA or the BFFIA. If they support the former, you are golden. If they support the later, well… I won’t fish with them, I know that much. It isn’t good in the Bahamas right now. I was just reading one lodge owner saying his business was off 70%. People are hurting. So, don’t stay away if you are going on a lodge trip. But please, spend your dollars wisely. Yellow Dog knows a thing or two about the Bahamas and Ian Davis has been going there longer than I’ve been fly fishing. He knows the lodges and the people and he wrote his thoughts up about the regs and what they will mean for the Bahamas going forward. You can read these thoughts here. The regulations are in place now and it looks like licenses are being issued. Don’t know how it is working on some of the smaller islands. If you have experiences, please let me know. All the news that’s fit to print, and some that isn’t. Reaction to new regs. I’m just going to leave this here for y’all to peruse at your leisure. Here are a few of the stories about the new regulations in the Bahamas, set to go into effect on Jan. 9, despite the whole nation being woefully unprepared for the mechanism the law lays out. Just an aside… the Bahamian government websites (like this) where people would actually go to see what the regulations are do not, in fact, have any of that information up yet… and it is supposed to all start on Monday. 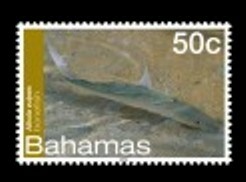 1967 was the year the Bahamas became an independent nation. Yes… Prescott is saying his fly fishing regulation law is one of the most important things since Bahamian home rule. That doesn’t sound like an overstatement at all, does it? Gone is any pretense that this is about conservation. If you recall the first days of this particular episode of this fight it was shrouded in envrio-speak. It was to protect the fish. But it never was about that. It isn’t even about what the regulations say or do now. There is a long game here and this is just part of it. Prescott, as he says himself, has been fighting this battle for 23 years. He’s not done. He’s laying a foundation. This is about who owns the lodges and where the money goes. Prescott doesn’t like foreign owned lodges since they are the competition and they are competitors that book more days at higher prices. They have more access to capital. They have nicer boats. They “speak American” in a sense and know how to meet client expectations. A lot of the big lodges are foreign owned, maybe all the big ones, but there are several Bahamian owned lodges as well. Water Cay and Swain’s Cay come to mind. The way Prescott sees it, every dollar spent in the Bahamas that doesn’t go to a Bahamian is a kind of national crime, a continuation of economic colonialism. The first draft of the legislation we saw took aim at foreign owned lodges, despite there being ample legislation on the books about how investments in the Bahamas could be made. The aim, the long game, really is about getting rid of foreign owned lodges. In the legislation snuck through there is little that impacts most DIY fishing, unless you had your own skiff or rented one while there. There is a license you need to purchase (the actual mechanics for that seem to be mostly FUBAR, but that’s another post). However, think of the long game here. Prescott seems to see any anglers fishing Bahamian flats without paying a Bahamian guide as stealing directly from the guide community and it is very much in his long term plan to change that. Now, you can claim I’m doomsaying and you can say the regulations don’t limit DIY fishing, but let’s see how the regulations are enforced, how the licensing mechanisms work and let’s see what comes next. I’m gazing into the future here a bit, but I also have talked to a lot of people who have known Prescott for years and they all say this is where he has long said he wants to go. I just think I see the path he’s taking. Prescott, and his supporters in the guide community and in the government, have been sold on the idea you can convert every second-home owner into a fly fishing guide client and every DIY angler can and will pay for a guide to fish the Bahamas. They also believe foreign lodge owners can be pushed out, and maybe the booking agents as well and that when it is all in Bahamian hands it will be an economic boon. They believe, when all is said and done, this legislation will result in more days booked with Bahamian guides at Bahamian lodges and more money will be spent and will stay in the Bahamas. Those of us opposed to this legislation disagree with that math. There will be fewer guide days booked in 2017 than in 2016, especially for independent guides. Bahamian lodges that struggled before will continue to struggle. Second home prices will drop and the economic boost construction and remodeling gave will disappear. Places like Ragged may never get fished (legally) while the legislation stands (a place with 67 inhabitants is unlikely to be able to support a licensed guide). Businesses which rent lodging or cars or boats or provide meals to DIY anglers will suffer. In short, we believe you can’t dictate too much to your consumers, your clients without it coming back to bite you in the arse. Beyond just what it does to anglers, how about the fact that under this legislation a local Bahamian going out and catching a mutton snapper in 5 feet of water will need a license and could be fined if he doesn’t have one. A license fee or fine is a big deal in a place with a minimum wage of $4.00/hour and unemployment over 14%. The birthright of every Bahamian to go catch their dinner in the sea was just voted away behind closed doors. No one even seems to know it has happened. The wounds will be self-inflicted and they will be deep and I honestly think we’ve only seen a glimpse of what gets built on this foundation. 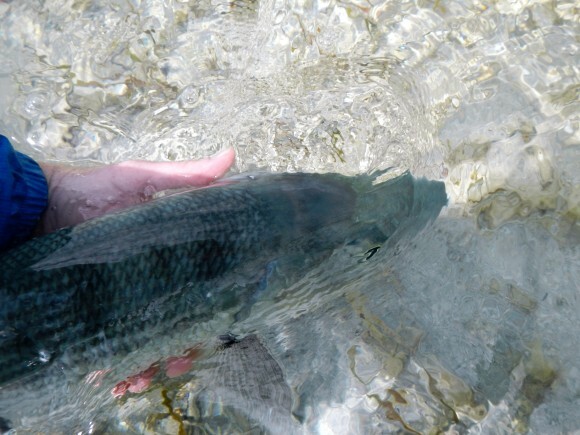 Was this my last Bahamian bonefish? The latest version of this dumpster fire is out. You can find it here. This thing is supposed to be live on January 1, but there is no infrastructure set up yet. It seems very unlikely to be life Jan. 1, but at this point, who really knows? Minister Gray seems singularly bad at administering pretty much anything, so, who knows? From what I hear the meeting last week was illuminating. Again there was this rational that this legislation was needed because second home owners were running illegal bonefishing lodges. That, of course, is fantasy, but, ya know… there are folks in this country saying 3 million people voted illegally in California. Both claims have about equal veracity, but, if people feel it to be true it may not matter. This is post-facts Bahamas. This is “acting in direct opposition of own economic interests” Bahamas. This is mind-numbing and frustrating and a bit like throwing pebbles at the waves (or flies at permit). If I sign any deeper I’ll pass out. Just a reminder… if you fish at a lodge, this really won’t impact you at all. You have a week with Oliver’s crew in Abaco or at Andros South, you will not be impacted by this. If you are fishing out of Deep Water Cay or Water Cay, you are totally fine. This doesn’t mess up most of the trips you might dream of taking in the Bahamas. It does, however, screw with a lot of people… second home owners/skiff owners and DIY guys that used boats (even a two person canoe is out). So, we wait and see. We wait to see if the legislation is going to go into effect on Jan. 1, like Mis-Minister Gray is insisting. We need to see how this is implemented and exactly how bad things get. So… details of a recent meeting with stakeholders have squeaked out and it seems like my initial read on things was maybe a bit optimistic. Licenses won’t be available on-line on January 1st. You’ll have to go to a govt. office to get one and you won’t be able to get one on a weekend. Second home owners and folks with skiffs in the Bahamas are just screwed. There was something about “if they can afford a boat, they can afford a guide.” There are no accommodations being made. The whole thing reeks of xenophobia and resentment. This all is aimed squarely at ending DIY and maybe shutting down competing lodges by putting the power to anoint guides in the hands of the BFFIA. The first draft, the worst one, may have actually tipped their hand at what they were really after. This is likely the first step in more to come. I’m deeply saddened by all of this. I can’t wait to be proven wrong. This, I think, is what got passed, more or less, with maybe some very minor changes. The big winner in all of this is Prescott Smith. His organization, the BFFIA, looks to be the entity that will control who guides in the Bahamas. That has always seemed like one of the main drivers. The organization he leads will train and certify guides. It is a lot of power and I would not be surprised to see it abused by someone so clearly capable of carrying a grudge and lashing out at those who question him. Prescott has a real anti-foreigner streak, ironic if you know his past, and he seems to be living out some long held revenge fantasy. The main loser is, for sure, the Bahamian people, who now will have to pay the government to fish the flats, something they’ve never had to do. Water 1-6 feet in depth includes a heck of a lot of water now off limits unless you are paying. It is mind-numbing to think the Bahamian people would accept this, but this issue seems has attracted almost no attention from the media or from non-industry Bahamians. The second biggest loser in all of this appears to be second home owners and ex-pats who have boats in the Bahamas. They will not be able to take anyone out with them to fish without a guide. Two people fishing is one too many, according to what I see as the regs. There is some debate if a boat owner would be able to fish, at all, without a guide, but I think a single angler can take their own boat out. More detail is needed here, but it isn’t good. 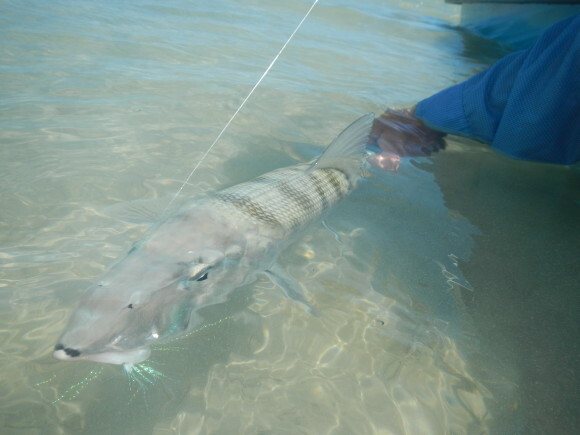 For the average bonefish angler, you can still do DIY, but you just can’t use a boat. Kayak? You bet. Two person Kayak? No. Canoe with one angler? Yes. Canoe with two anglers? No. 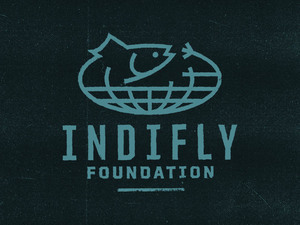 Funds raised by anglers will go half to the government and half for conservation. I’d bet a fair bit of that conservation money will go to the Bahamas Sportfishing Conservation Association, which is a hardly-existing entity run by… care to guess? Yup… Prescott. Maybe I’m wrong about that, but somehow, I think I’ll be right about it, which is math that shows only one winner (and it isn’t the Bahamas). So, we started out with an effort to severely limit DIY and ended up with a power play to financially benefit a few of the chosen PLP anointed. It was always about money and power to one degree or another. How this thing is enforced is going to determine how bad it gets for the Bahamas. If some wayward flats fisherman gets put in jail for 6 months or if anglers on their own get harassed, it is going to be bad. Lodges may see a little dip in business, as the tenor and tone of the regulations are not friendly and the intent of their creator is clearly xenophobic and malevolent, but if you were going to spend a week at Bairs or Andros South or Delphi or wherever, this will add just a few dollars to a several thousand dollar tab and you might not notice anything. It is the folks lower on the totem that will go without the business. It has been a mess and has eaten up more time than I’ve spent fishing this year. Here’s to hoping I’m wrong on all my doomsaying. I’d love nothing more than to be wrong.